YC-12V is a 2 x 12 AV HDTV distribution amplifier which allows any A/V source with component video, stereo audio to distribute A/V to 8 different locations without any signals loss. 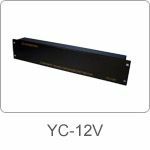 YC-12V is ideal for the home audio/video, transportation, theater and commercial AV applications which need multiple displays. When more than twelve outputs are required, multiple YC-12V can be linked to large number of TVs with equal picture quality, which helps you save the expense of additional A/V receiver. 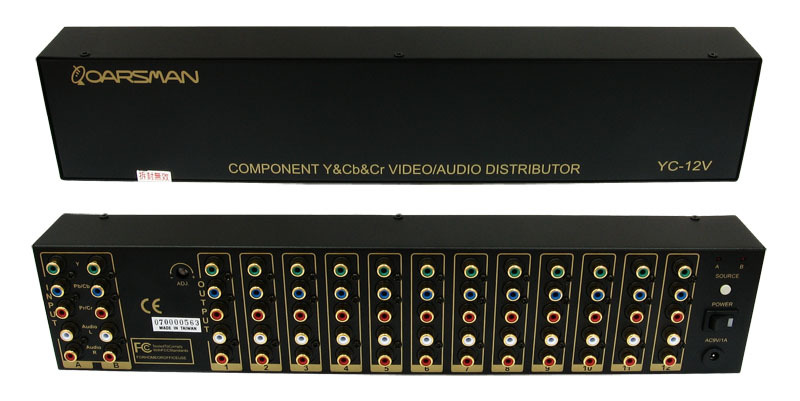 YC-12V also has the 19 inch rack mountable accessories kit for the 19 inch cabinet. • Video : bandwidth 300MHz and support Component Video YPbPr (YCbCr) / RGBHV. • Audio : Stereo Audio ( AR/AL).